Har HaBayis reopened Monday morning to all who wished to visit – with the stipulation that everyone, Muslims included, needed to pass through body scanners and metal detectors in order to enter the compound. The measures were instituted after Friday’s terror attack, when three Arab terrorists entered Har HaBayis with the intention of fighting police at the site. Police later arrested members of the Waqf, the Muslim group responsible for the mosques on Har HaBayis , after weapons were found hidden at the site for use by the terrorists, presumably with the permission of Waqf members. The decision to install the new security systems at the entrances to Har HaBayis was made Motzoei Shabbos by Prime Minister Binyamin Netanyahu before he left for summits in Europe. 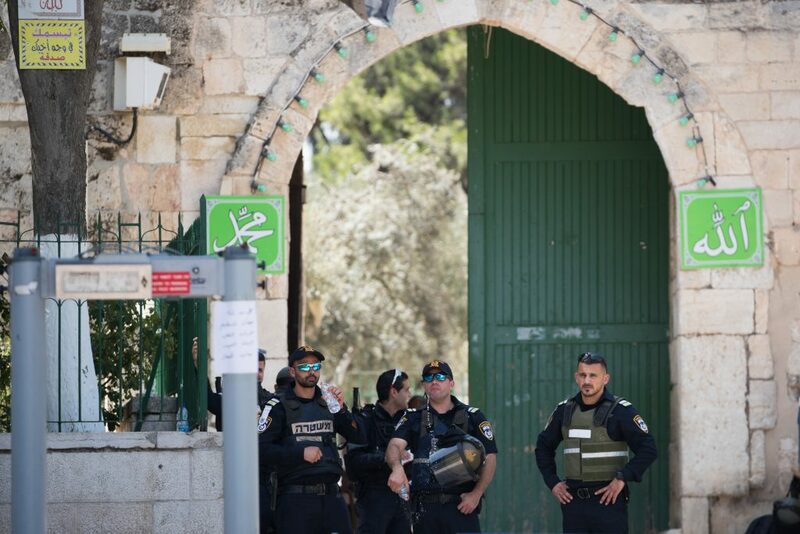 The site was closed after the terror attack and all day Shabbos, and reopened for a short time Sunday afternoon – but was closed almost immediately again after Waqf members started a riot when police demanded that they pass through the body scanners, a demand they rejected. Waqf members continued to boycott the site Monday – but for the first time, Jews were able to enter the compound without being accompanied by a Waqf member. For the first time since the close of the Six Day War, Jews were able to enter the site Monday unaccompanied by a Waqf watchman. In a statement, groups organizing visits to Har HaBayis praised police for “righting a historical wrong” by finally requiring that Muslims go through security checks like everyone else.